Gmail New Design 2018, Gmail have change his mail box look in New Design, Gmail is most popular mail server. 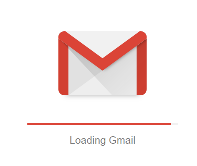 Gmail New look is very attractive. Gmail menu as same as above. but change in look compose label is also colorful and in right corner one tab menu like calendar, keep, Task and Add extra Get Add one option in this new design of gmail 2018, G suite Market place on Get Add one option. G suite Market place on Get Add one option also colorful and in right corner one tab menu like calendar, keep, Task and Add extra Get Add one option in this new design of gmail 2018, G suite Market place on Get Add one option. If you like this article so please comment on post below comment box and also share it and like it. go on goole and serch about "mihirkumar.in" and also connect on YouTube search "Mihirkumar" on search menu.